It may seem like business technology and innovation is stagnating, but we assure you that it’s still constantly improving. It’s often the lack of awareness, leading to lack of adoption, of these technologies that is the problem. Improving data accessibility, and thus, productivity is one of the most discussed topics with our newest clients. “How can we better collaborate on projects?” or “What is a better way to securely share files with clients?” are questions we hear all the time. And yes, there are solutions. ActiveCo helps you discover the right technologies for your needs, ensuring you understand the features, benefits, costs and impact of implementing these solutions into your business process. Empowering your team to work more creatively and collaboratively doesn’t just benefit you as the business owner; it can have a huge impact on your team members who will enjoy being able to do their jobs more efficiently as well as your customers who will enjoy improved responsiveness and communication, elevating your customer service reputation and growing your business! We can tell you from experience, the businesses that grow and have the best reputations from their clients and staff are those that invest back into themselves. Would you want staff referring to you and your leadership team as “innovative”, or “unaware” (or worse, “cheap”)? It’s important to understand the distinction between a “cost” and an “investment” when it comes to technology (aka “I.T.”). The proper adoption, and secure implementation, of the tools below could transform your business processes. 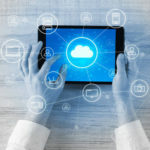 When you store your data, files and applications in the cloud, you have an infrastructure that can be accessed on demand at any time from anywhere, as long as the user has the correct viewing or editing permissions. This allows a more open and convenient way of accessing files or folder, collaborating with your team or clients. This method truly embraces the “always on” notion of mobile technology. Looking to avoid cloud-sharing, multiple file copies or ensure your data remains on Canadian soil? There is no need to transact the document (or copies of) over the internet, when you, your team, or your clients (through unique file-sharing protocols) could access the files directly via your server(s). Collaborating during a project in one file or folder, or having your client update documentation from anywhere in the world can be a huge convenience for everyone involved. You control the access, you own the data, and no training is required as everyone would use the same Windows interface we all know and love. Remote, or conference, meetings can be an essential part of your business process; they are the place to discuss company initiatives, colloaborate between offices, close deals with clients and they can play a fundamental role in your remote staff members feeling included no matter where they are. Think of a meeting that was a waste of time and it’s probably due to getting your conferencing or video software not working properly. Conferencing software and other communication strategies (like on-screen, interactive whiteboards to better explain your product or services) can make these meetings more efficient and productive. Remote meetings should be accessible anytime and anywhere, giving your employees, prospects or clients flexibility in their communication. Nowadays, your software solutions have the opportunity to work in concert with your productivity tools, whether they are new systems you’re looking to adopt, or established applications already on your network. Most businesses value integration more than ever before so you’re likely to be using applications that work together more purposefully in the future. Your organization’s policies, procedures, employee benefit details (can’t remember what’s covered?? ), training materials and other internal applications should be found in a place where anyone on your staff can access them. Server and specific cloud file access, set up properly and securely, can grant ease of access for any and all of your company files. You can set the hierarchy however you like in most solutions, allowing permissions to cascade from executive level access and down. ActiveCo Technology Management can help you implement many of the innovations that modern office workers really need to stay productive. To learn more about their solutions and services, reach out to ActiveCo Technology Management at 604.931.3633.